Indian Women’s Hockey Team wins Hockey Asia Cup 2017 against China by 5-4 in penalty shootout in Final today, 5th November 2017. 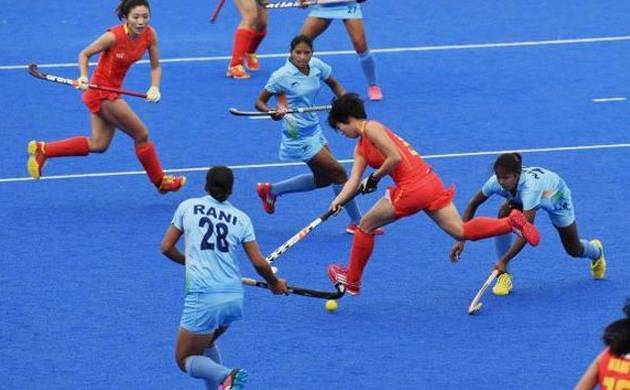 India beat China 5-4 in shoot-out to win their second women’s Asia Cup hockey title, qualify for next year’s World Cup. India eves remained unbeaten in the tournament. In the pool stage, India beat Singapore 10-0, China 4-1 and Malaysia 2-0. In the quarter-final, India thrashed Kazakhstan 7-1 before beating defending champions Japan 4-2. Indian scored 28 goals in the tournament. South Korea are the only other team to achieve this feat. They won both men’s and women’s Asia Cup in 1994. Indian woman hockey team now qualify for Hockey world cup 2017. 2017 Women’s Hockey Asia Cup is the ninth tournament to date in Hockey Asia Cup for women. It is held from 28 October to 5 November 2017 in Kakamigahara, Gifu, Japan. The winner of this tournament qualify for the 2018 World Cup in England so finally India qualify for world cup 2018.